Testing your product shouldn’t be difficult and painful. Our engineers, pilots, technicians, and support staff have exceptional experience successfully testing and certifying aerospace products, both for OEMs and testing facilities. We knew we could do better than industry standard. We put our heads and experience together to develop our own efficient software and processes for planning and executing your project’s test. The result? We get it done. On time. On budget. AeroTEC performs most flight tests from our flight test and hangar facilities at Grant County International Airport in Moses Lake, Washington. From here we can quickly access nearby military, commercial, and Boeing flight test areas. However, thanks to our mobile telemetry trailer, we can also conduct your testing anywhere conditions are ideal. For ground testing, Grant County International Airport provides significant space for numerous scenarios including engine, acoustics, structural dynamics, and ground vibration tests. We also cost-effectively design and manufacture models in-house for testing at the customer’s choice of wind tunnel and/or icing lab. We begin your testing process with a comprehensive test plan. AeroTEC creates flight test plans using our in-house software suite that manages the entire testing process from initial phase definition through detailed flight condition planning, sequencing, and condition completion tracking. We have the ability to create test conditions from scratch or accept customer-engineering inputs, providing only flight test expertise, planning, and execution services. AeroTEC’s test pilot team is exceptionally experienced in aerospace testing for OEMs and testing facilities, while many are also graduates of prestigious test pilot schools. Our onboard crew for testing includes a DER test pilot, test directors, on-board analysis, and instrumentation operators while remote crews monitor telemetry and data acquisition back in the lab. We also operate a chase aircraft for photography, videography, and data collection, as required. At AeroTEC, safety is our top priority. Through our in-house Safety Management System (SMS) we work with our customers to manage safety every step of the way, helping ensure successful, safe testing. Additionally, we support a strong reporting culture through safety reporting link, where safety concerns can be shared, allowing us to immediately address and mitigate them. Our test planning process utilizes methodologies detailed in FAA Order 4040.26B to analyze and manage the risks associated with flight testing aircraft. 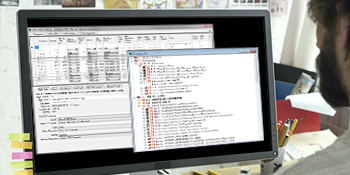 AeroTEC’s risk mitigation process is imbedded in our in-house software suite with access to our own past analyses as well as the NASA flight test database to maximize safety and efficiency. AeroTEC utilizes temporary operating limitations (TOLs) as a means to modify aircraft envelopes and limitations in order to conduct safe, efficient, and accurate flight tests. Our processes ensure that TOLs are created and maintained throughout the flight test program in order to promote safety and efficiency. At AeroTEC, we offer multiple test instrumentations systems to cover the full variety of required testing parameters for certification, even designing and manufacturing our own when needed. Our Moses Lake and mobile telemetry units work with our proprietary data acquisition system (DAS) to gather information in real time while our DataCenter software stores the data, making it available in real time to multiple sites, allowing technicians to get to work on data before the aircraft has even touched ground. Whether you require testing on a small modification to an entire new aircraft, our comprehensive ground and flight test services offer you a complete, efficient, and cost-effective path to certification. Contact us today to learn how we can help get your product to market.